One interesting aspect of the Noulakaz family is that our four birthdays are celebrated over a period of exactly one month: between 25 August and 25 September. 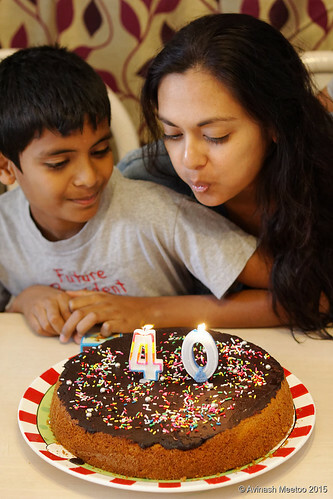 It all started on 25 August when we celebrated Christina’s 40th birthday at home. 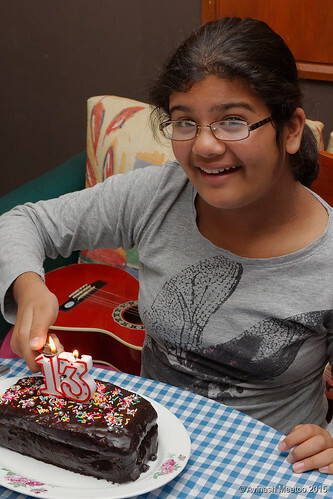 A few days later, we had a small party at Flic-en-Flac, first on the beach, then at my parents’ bungalow. 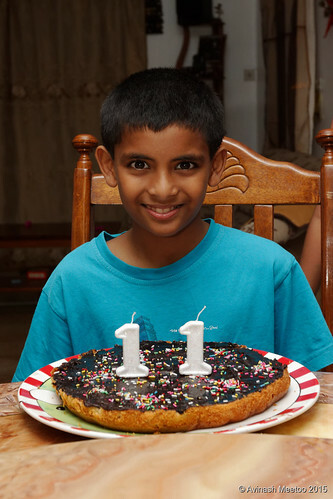 Two weeks later, we celebrated Kyan’s 11th birthday at my parents’ place with all members of the Meetoo family (except Cherina and Stéphane who are in France). Kyan got a nice Darth Vador figurine and a football and he was extatic. It’s easy to please an eleven year old boy. 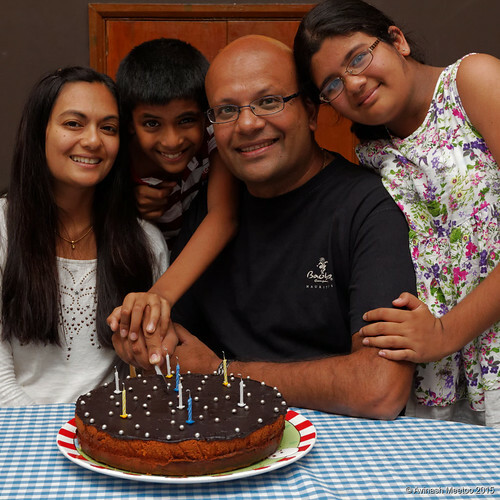 Finally, on 25 September, we celebrated Avinash’s 42nd birthday at home. He now has the answer but, of course, he has not yet figured out what the Ultimate Question of Life, the Universe, and Everything is. Phew. Four birthdays over one month is quite hectic. But we had a lot of fun. Bring on 2016! PS: Happy birthday to Khemil who is 24 today. I am against spam... and spammers !